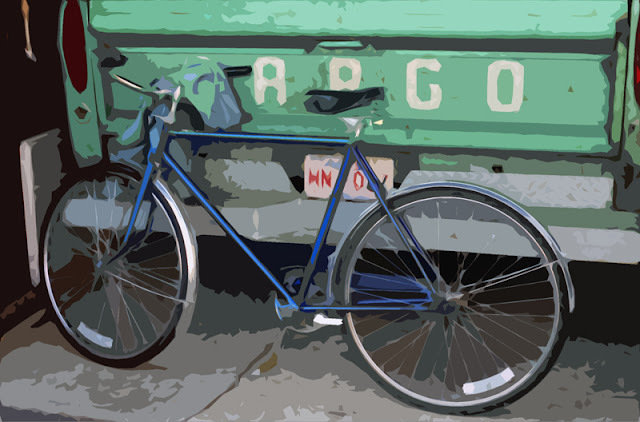 Many years ago, I shot this photo of my bicycle leaning against Mom and Dad's old Fargo in their garage. There's nothing particularly distinguished about the image; I was probably trying to finish off a roll of film. Just look what thirty seconds' worth of playing with the Photoshop cutout filter will do: I now have a faux art piece a lazy graphic designer might use to finish an ad for a small business with no budget.